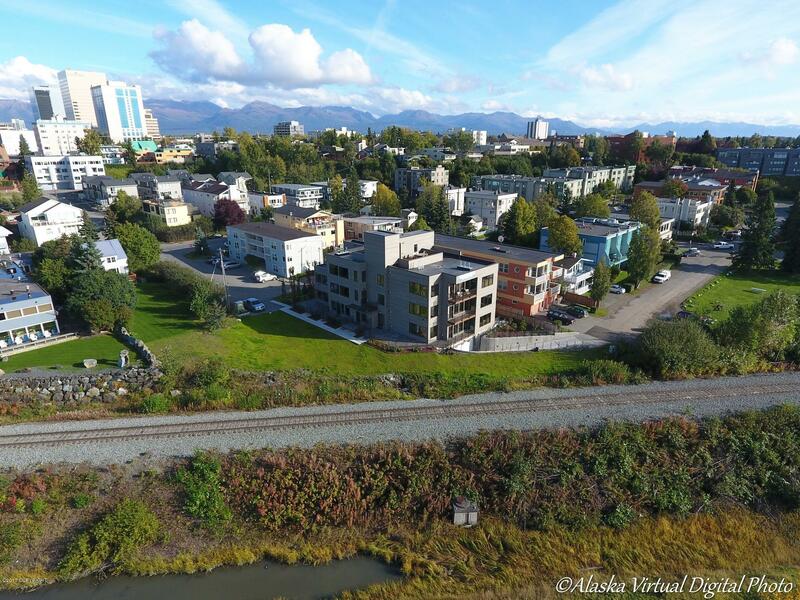 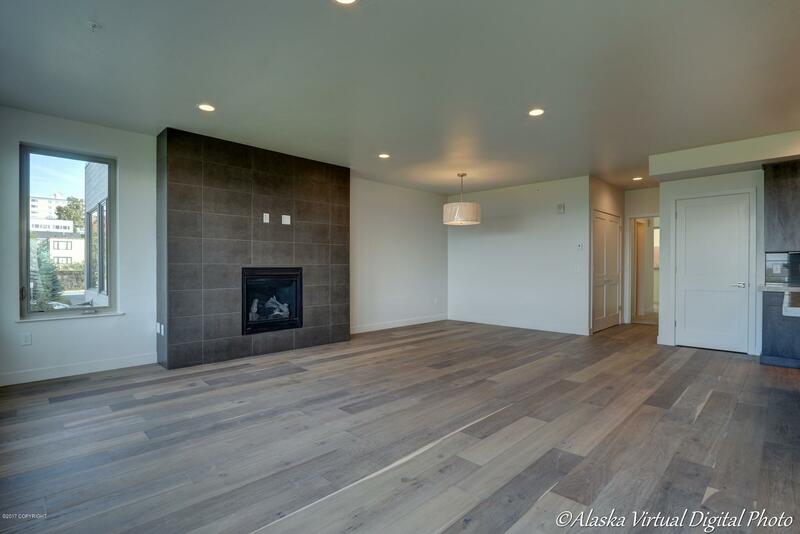 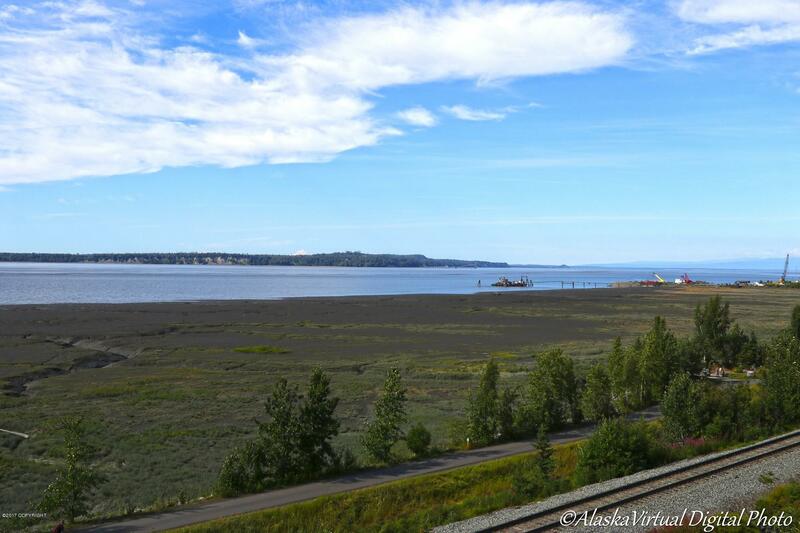 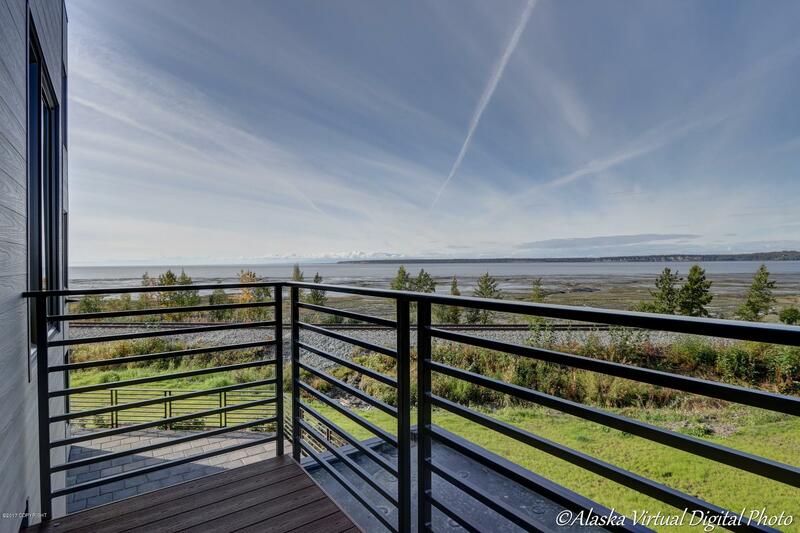 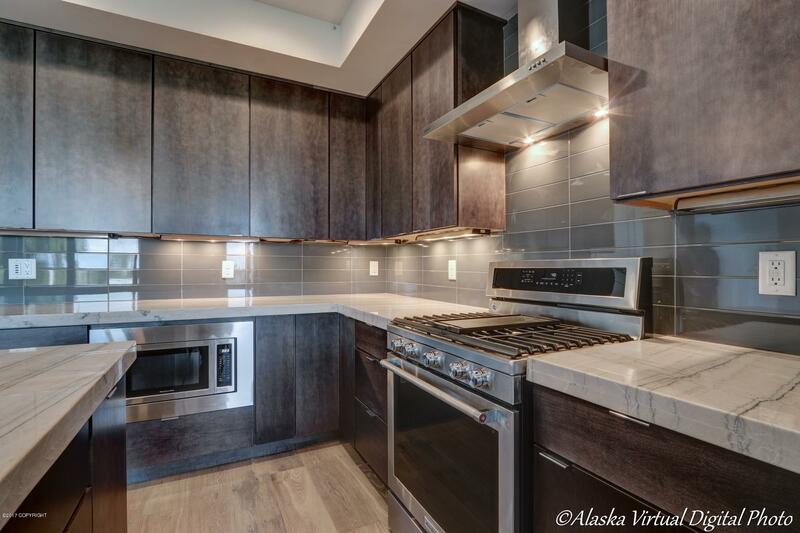 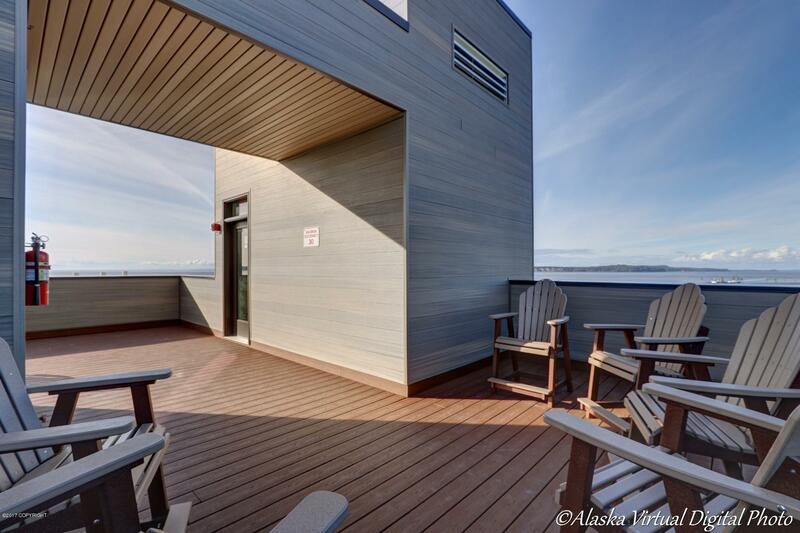 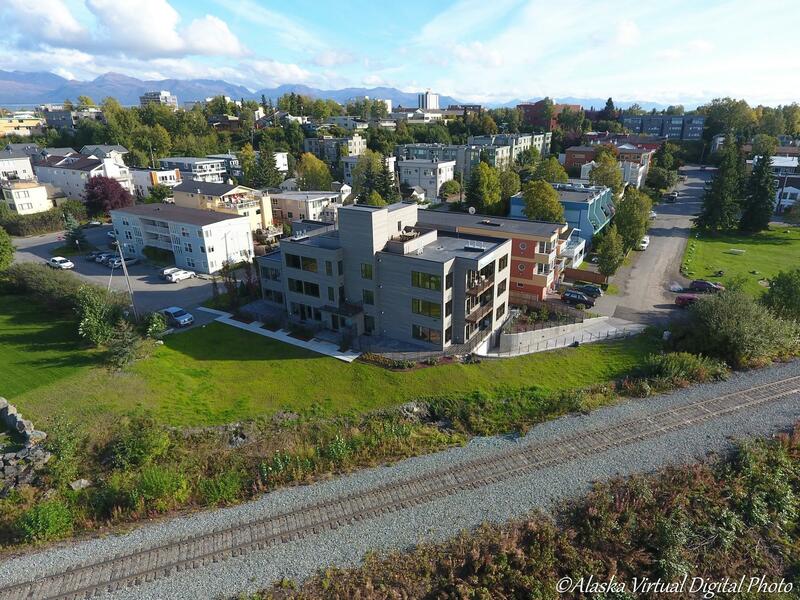 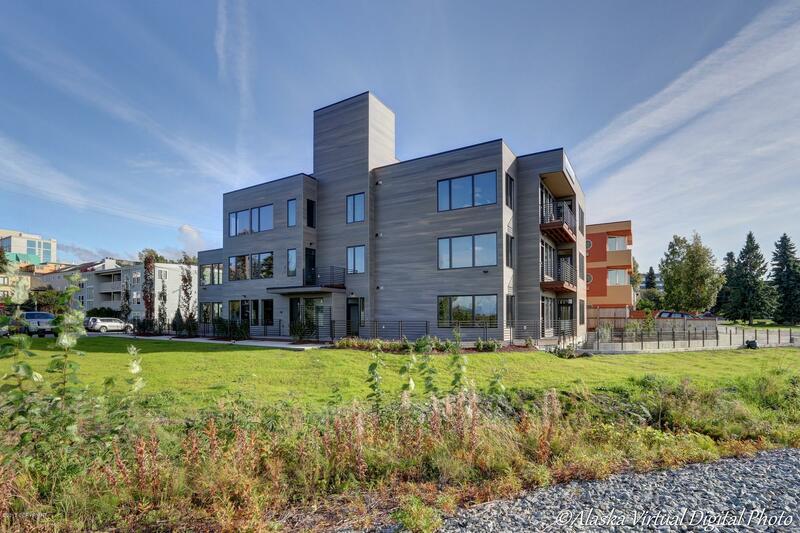 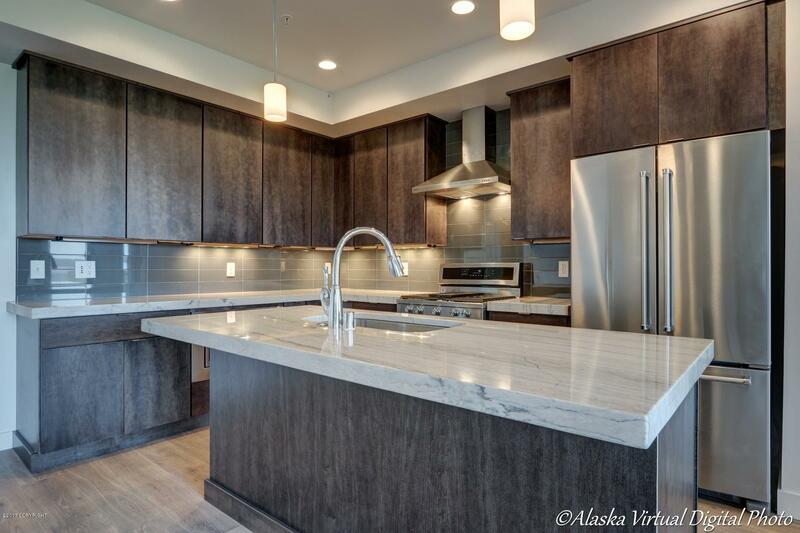 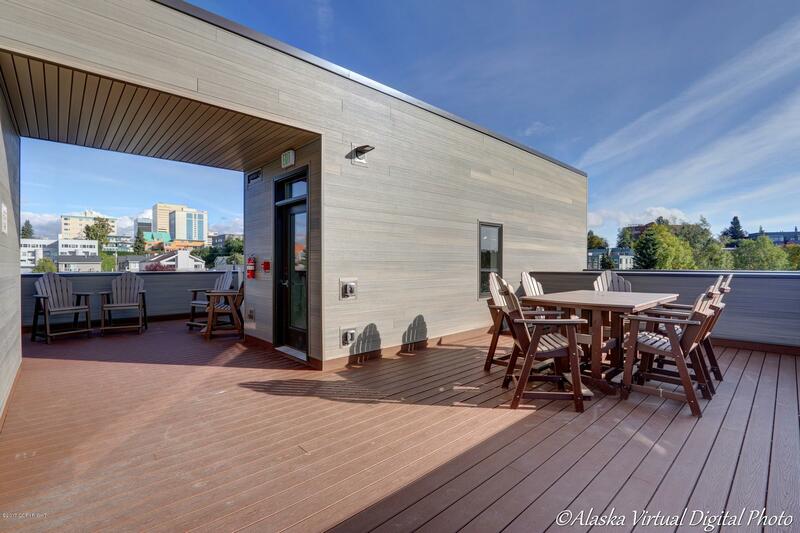 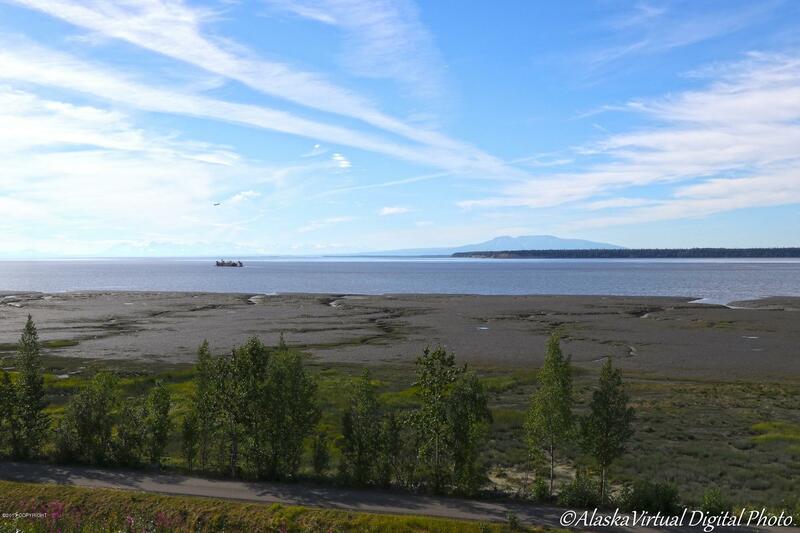 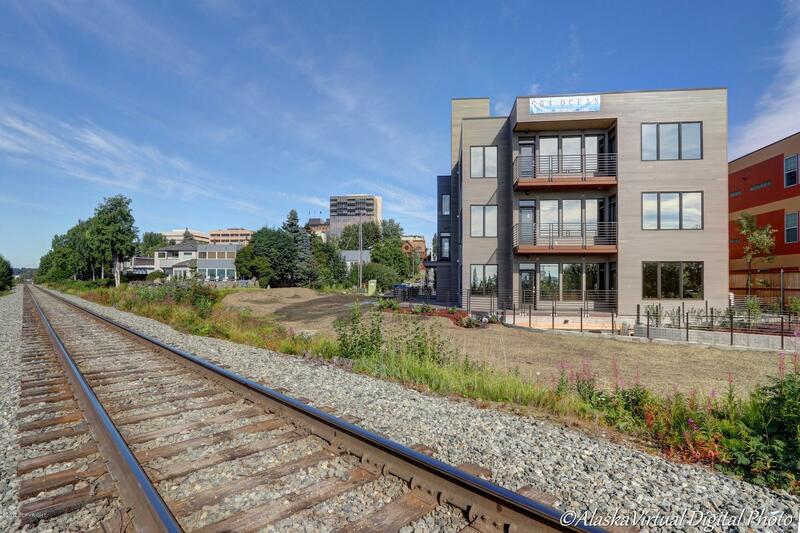 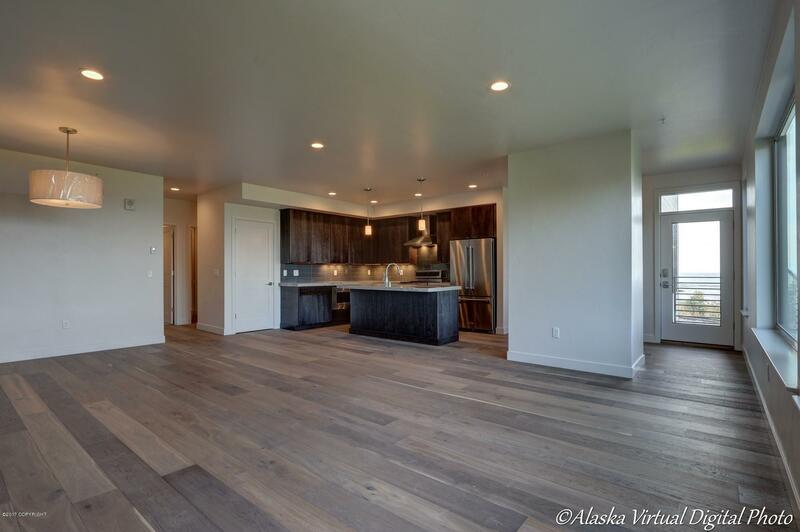 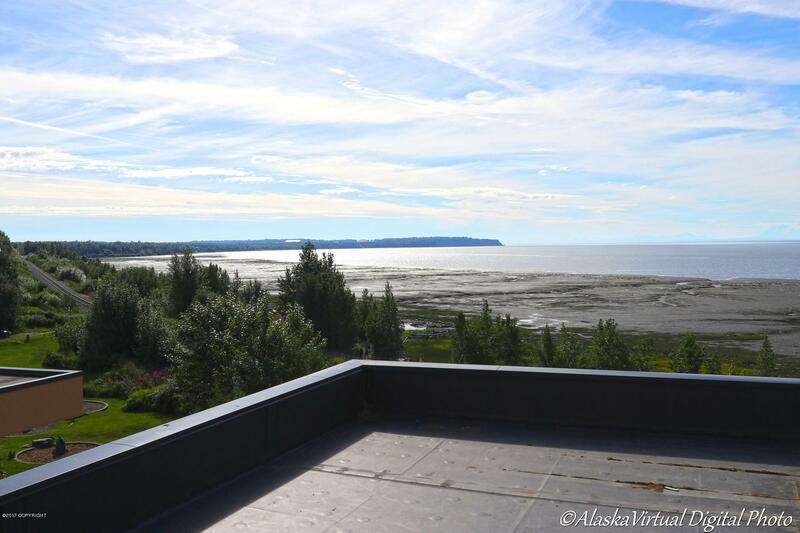 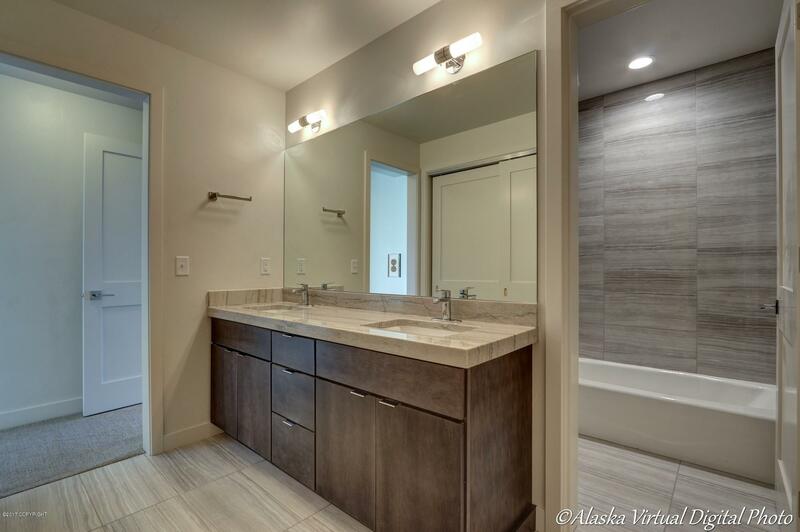 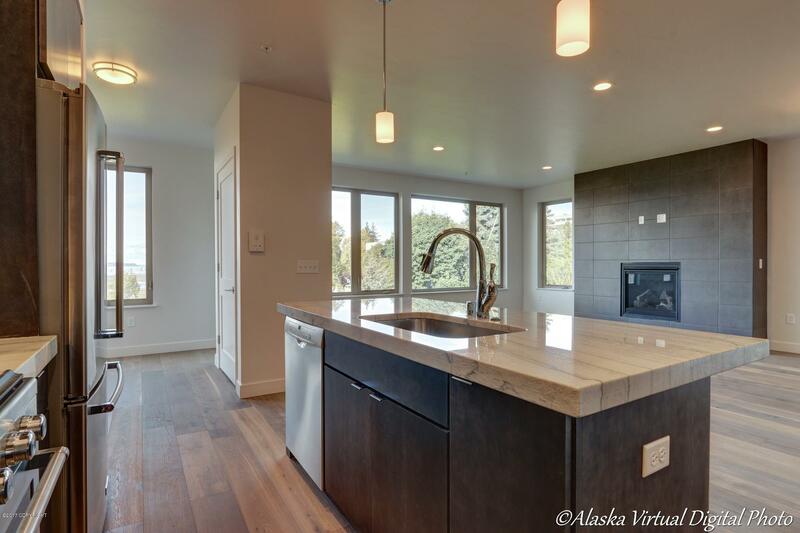 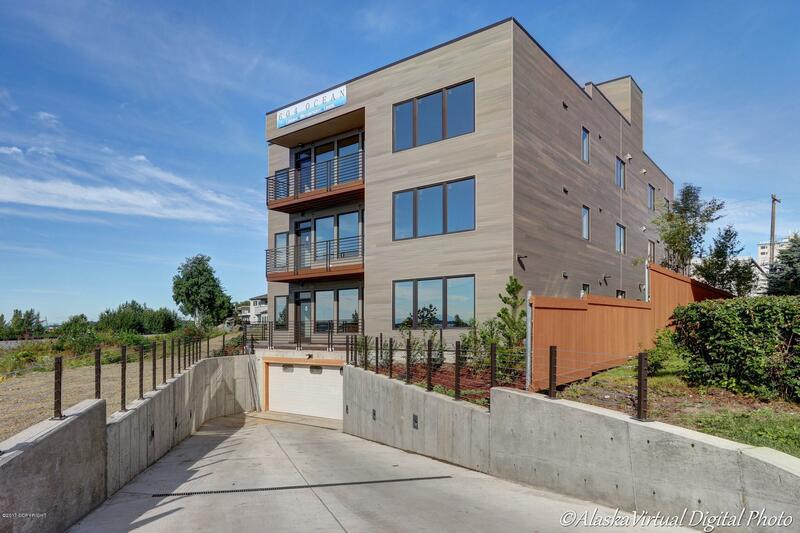 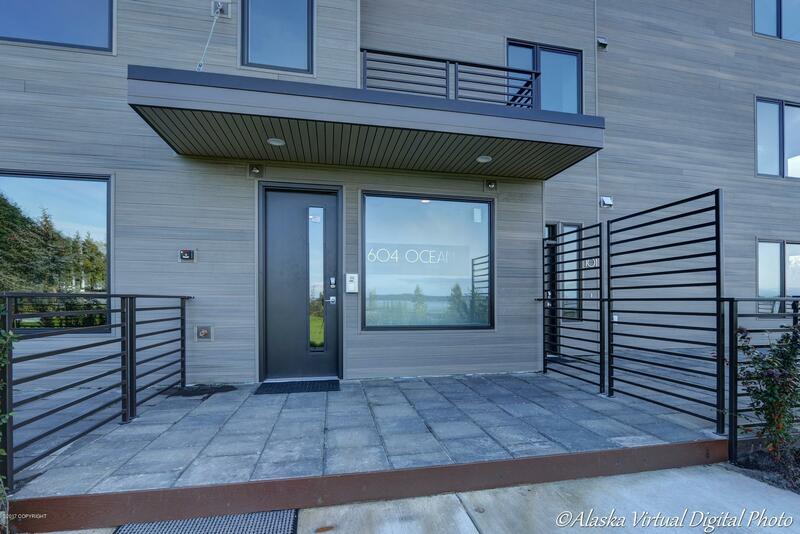 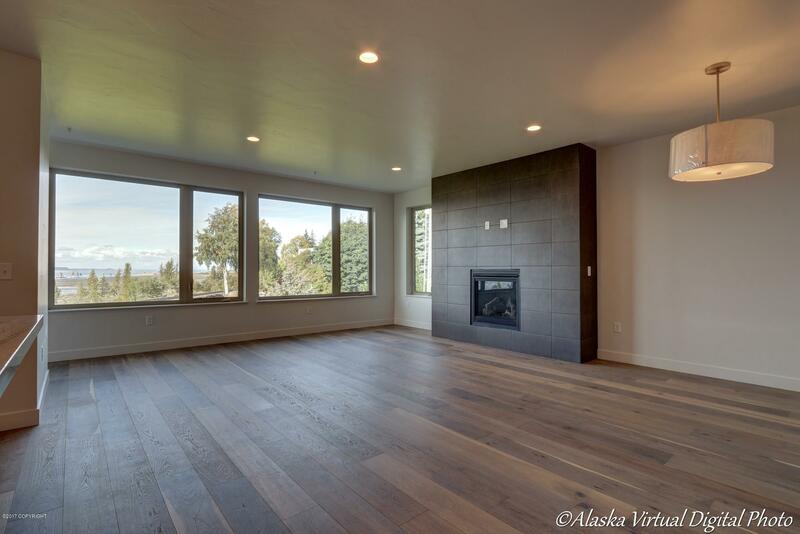 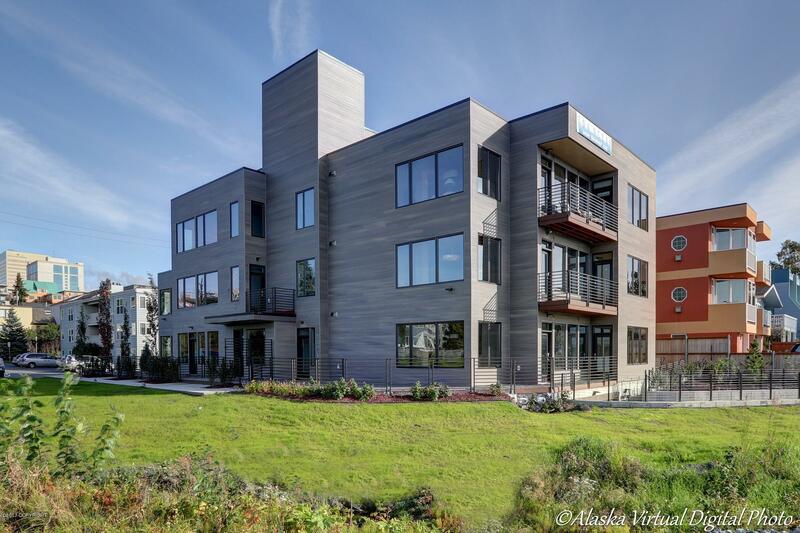 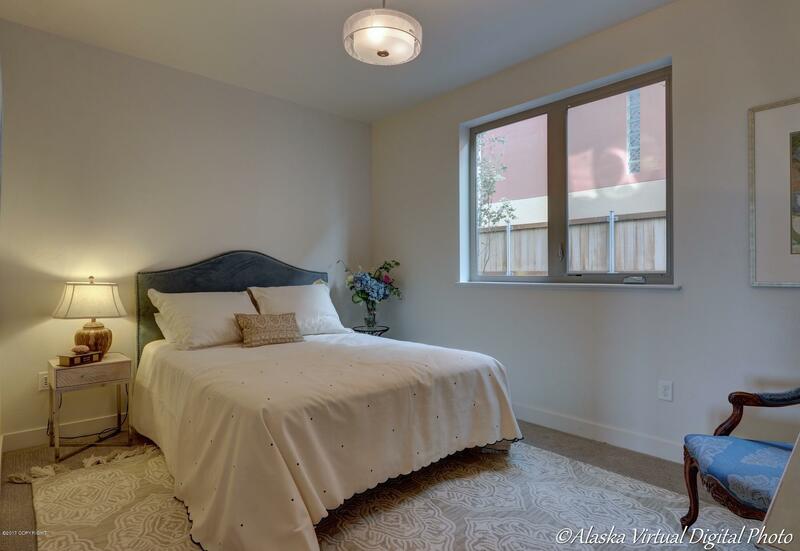 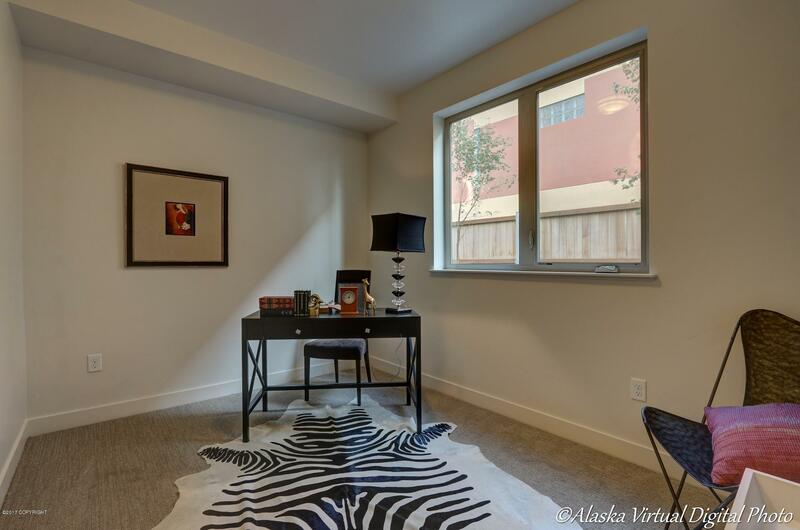 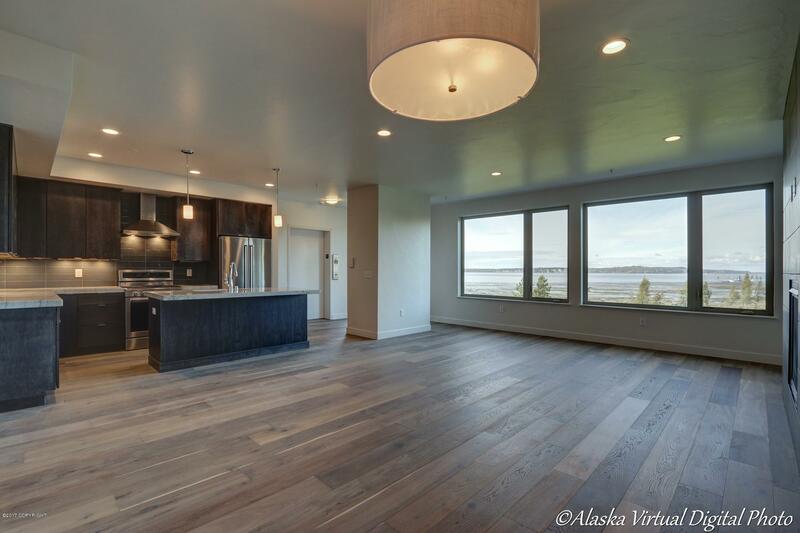 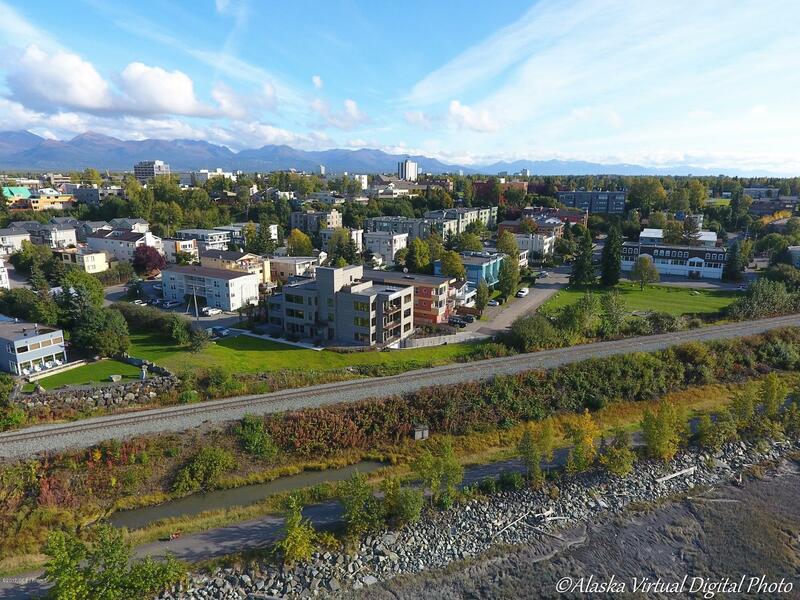 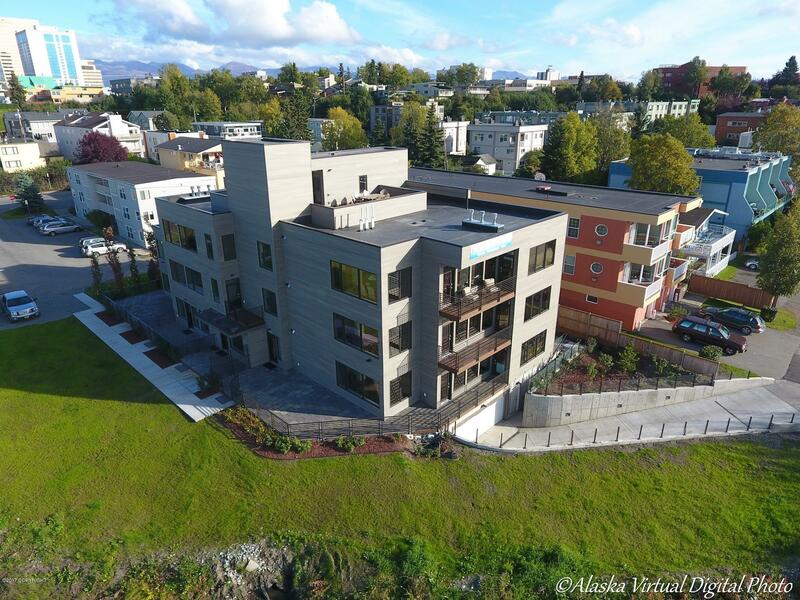 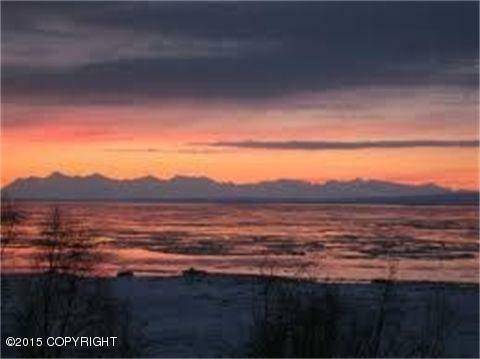 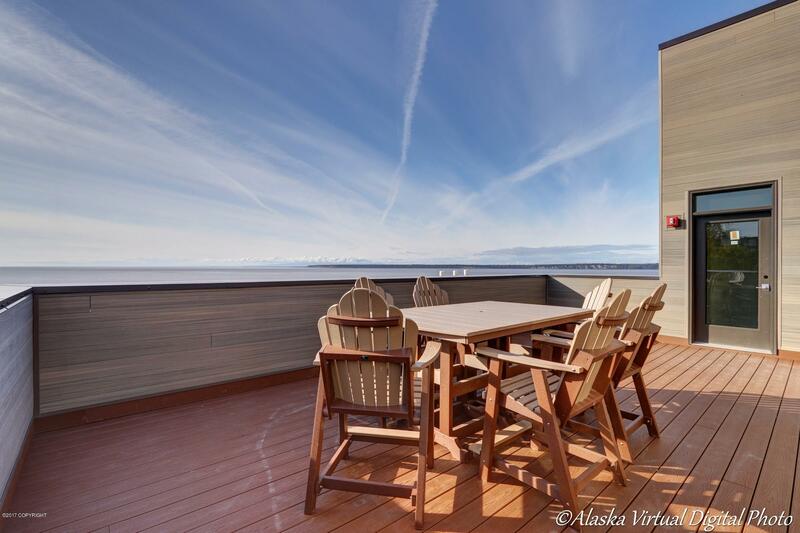 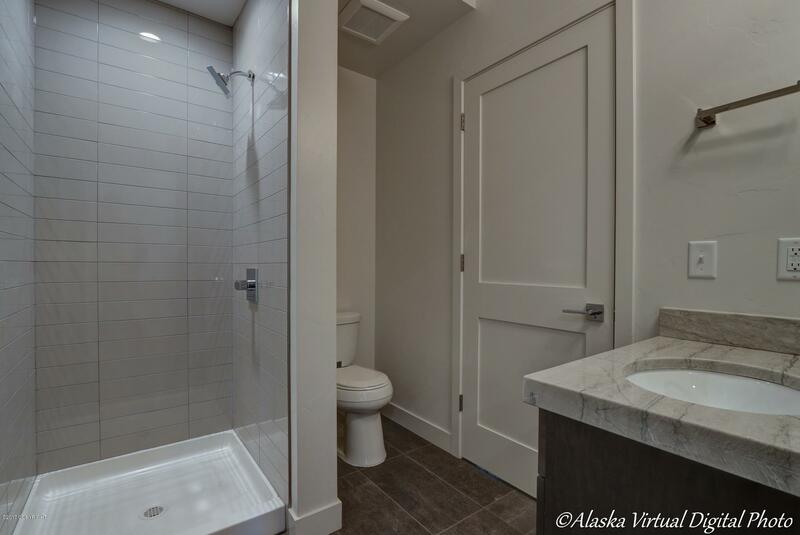 Anchorage’s 1st waterfront condominium in decades located on the bluff in Bootlegger’s Cove with spectacular city & inlet views. 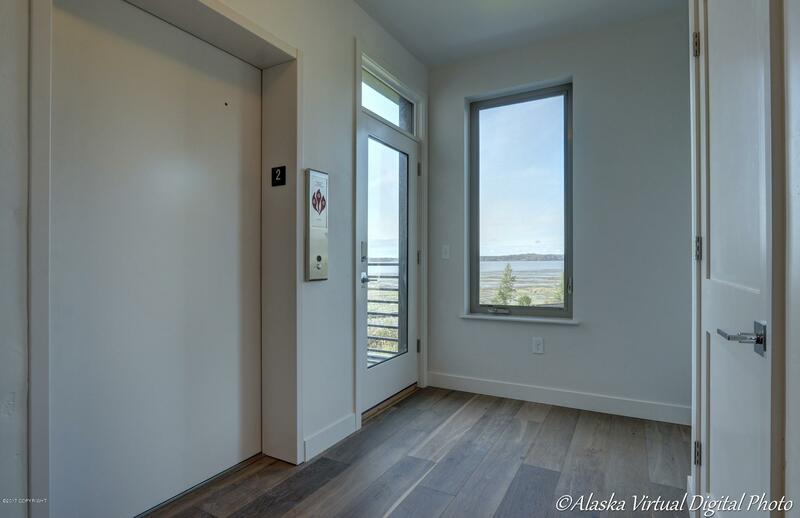 A private elevator opens directly into Unit 202, offering a sophisticated palette w/private west deck plus common rooftop deck. 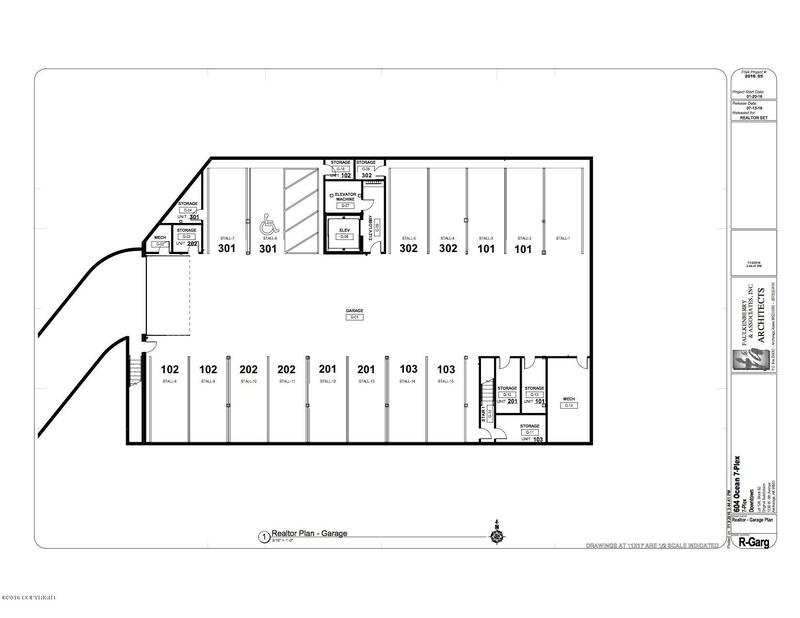 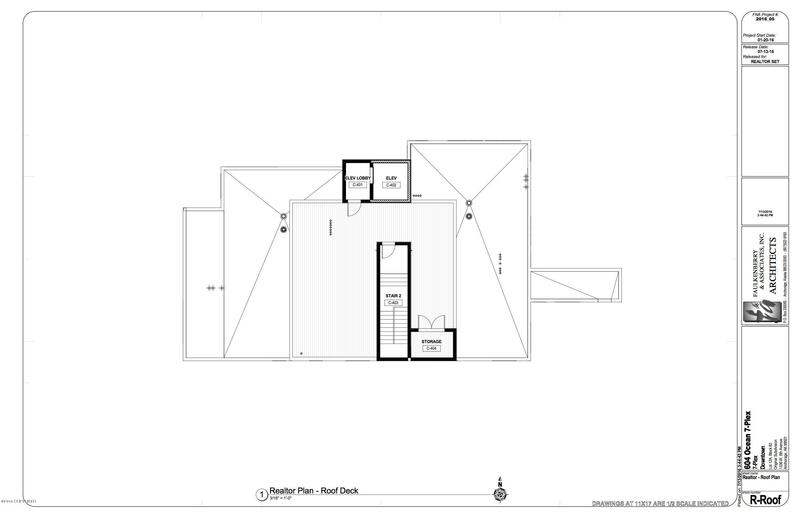 Elevator & underground garage with 2 parking spaces & storage area. 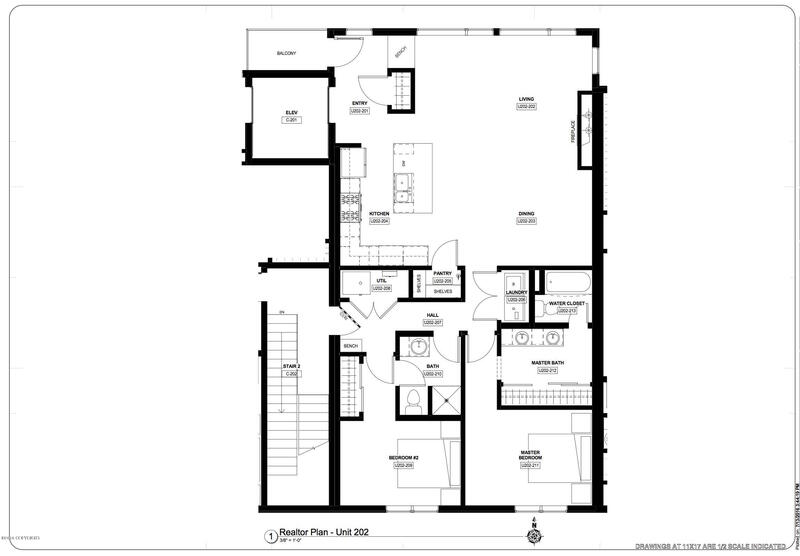 Elegant great room concept with beautiful contemporary Medallion cabinetry with soft close doors. 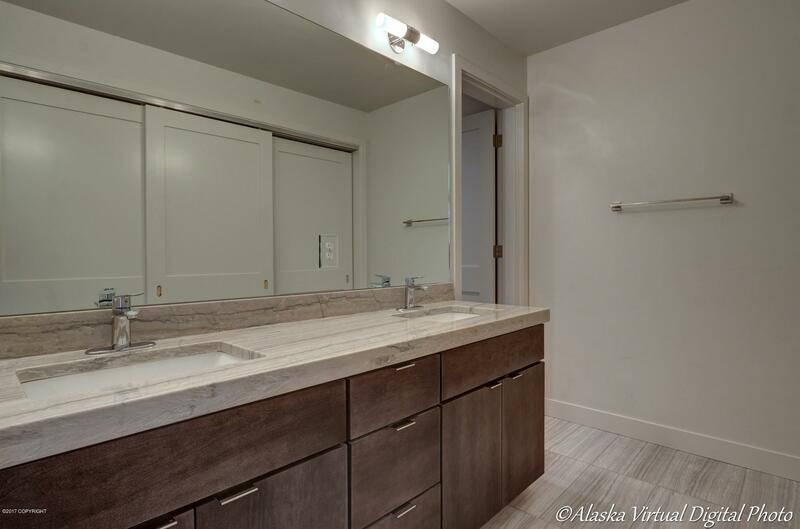 Features include spectacular quartzsite counter tops in kitchen and both baths, Kitchenaid appliances include gas range and counter depth refrigerator, beautiful engineered hardwood floors, and dramatic ceiling height tiled direct vent fireplace.